Who is Tony Perez, you might ask? Well, as an artist, he is many in one. Perez is a Filipino creative writer, playwright, poet, lyricist, painter, portraitist, fiber artist, sculptor, game designer, fashion photographer, and psychic journalist. As an established individual, he holds an M.A. degree in Religious Studies, an M.A. candidacy in Clinical Psychology, and an A.B. in Communication; he also holds certificates in Publication Design and Production from the Department of Journalism at the University of Wisconsin and Fundamentals of Graphic Design from the University of California at San Francisco. He taught as an adjunct lecturer at Ateneo de Manila University, De La Salle University, Saint Scholastica’s College, Maryknoll College, and the Philippine High School for the Arts. “I don’t like pointless things. The reason why I write for people 30 and above is that a number of writers write for high school and college students so that their works will be canonized. What does this mean? So that the Department of Education will sell their works. This is very sad”. “The role of a playwright, for me, is to be a catalyst in society, to make people think and then take action. If you watch a play, the message may not hit you immediately, or prompt you to immediate action. But at least the message is there. Maybe it will hit you three years later. This is good enough for me”. Other than creating plays, he has also written a slew of books. Encouraged by his teachers, Perez started writing in grade school. “They told me I should be a writer when I grow up. As a young child, it sort of stuck to my mind. I did end up as a writer,” he says in an interview with PressReader on April 2010. Perez’s master’s thesis, titled Pagsubok sa Ilang: Ikaapat na Mukha ni Satanas was published by Anvil Publishing Inc. in 2005 and was awarded the National Book Award for Theology and Religion by the Manila Critics Circle in 2006. Along with that publication and under the Filipino Theology Series, he co-authored a children’s book, Inang Bayan’s New Clothes as well. After having more than 40 books published in the Philippines, he is devoting the rest of his life to posting his new and forthcoming books in cyberspace. They can be accessed through his main blog. A prize in photography from the Children’s Museum and Library, Inc. Still want to know more about Tony Perez? Then here is your chance! 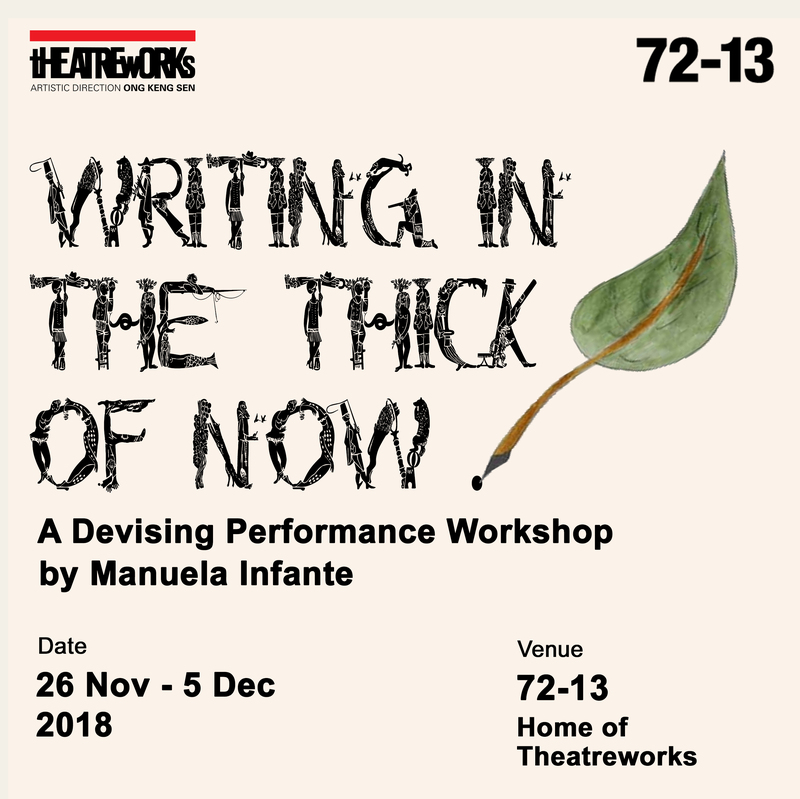 Sign up for our Writing from The Heart playwriting workshops 2017. Head over to our Writing & Community blog for more details on the workshop itself! Don’t wait any longer, here’s your chance to be inspired and guided by Tony Perez himself! Register with us at ezzat@theatreworks.org.sg and book your slot now! Limited spaces available!